Many people confuse tire age and tire tread depth to determine when to replace it. You should know every tire has its life span that will tell you when to stop using it no matter how the tire look. 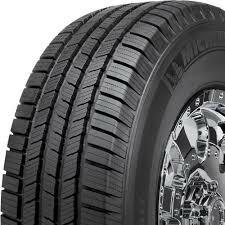 Finding the best car tire is very hectic if you don't have experience in automobiles. Sometimes you might need to involve a specialist to do the job for you. Hiring a specialist will cost you a few dollars, but you can do it yourself if you understand types of car tires and their use as we mentioned below. This type of tire is made special for summertime, although you can use these tires also in another season of the year except winter. These tires are made of soft rubbers so that you can drive safely on the dry weather. Low noise, steering stability, better traction, increased responsiveness, cornering and braking capabilities. If you're preparing for a summer road trip, you should pick summer tires. This tire usually used by passenger cars, trucks and buses. The tires designed especially for the areas with snows. You recognize winter tires by looking at the thread. Threads they are divided into small blocks to optimize driving performance in the snow with deeper tread depths and specialized tread designs that offer enhanced traction capability. Studded tires are the winter tires with small and tough metal pieces within the tread to be able to increase traction on ice. These tires widely used in isolated or rural regions where snow plow maintenance may not be regular. They are a better choice for unsalted roads like back roads or unpaved dirt roads. Studless tires are the winter tires created to give better traction and grip on snowy or ice capped roads without stud pins. They solely based on solid engineering, recent advancements in rubber compounds and tread designs. Usually, at a temperature below 7 degree Celsius, they will become rigid and possibly crack. The tire is unsuitable for snowy roads and equally risky for use in winter. Studless winter tires, on the other hand, offer much flexibility in freezing weathers by maintaining required traction on snowy or wet roads. They have a much deeper tread depth than summer or all-season tires which don't allow debris to clog into tires. An all-season tire gives an all-round performance by combining the properties of both summer and winter tires (all weather tires). It is appropriate for a standard driver as it offers a balance of capabilities, giving acceptable performance in wet as well as dry conditions including better traction in snow. The tiny slits in their tread pattern called sipes help with acceleration, deceleration and stopping on compromising road surfaces. These tires have moderate tread depths that are engineered to provide a longer tread life. They are manufactured into various types or models, sizes, load capacities, and speed ratings and can be used for a wide variety of vehicles from economy cars to sedans to mini-vans to pickup trucks. They offer a quality ride, better handling, and other performance attributes suitable for most drivers. A Run-flat tire is designed to keep the vehicle in control even after deflation caused by a puncture. It allows the car to move at reduced speeds for a limited distance even at zero pressure. Now you understand types of car tires and how to identify them. You will be able to choose suitable tires for your car.